Welcome to Fort Meyers Beach! This community has something for everyone. If you're into a sporty ride on a waveruner, a mile-high view from a parasail ride, or just a secluded park for a romantic, sunset picnic - this is the place to be! This history of the island is rich with varied cultural influences. From the earliet days of the Calusa Indian empire to the migration of the Koreshan Unity Church members, this island has grown be embracing diversity. Your visit here is another link in the ever-growing chain of life. Enjoy your stand and feel free to call Fort Meyers Beach your home away from home! 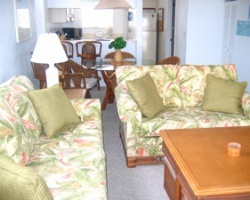 Comfortable resort with all the accommodations of home! 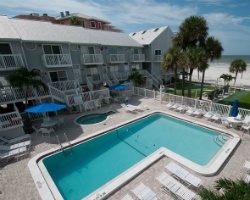 Only a short walk to the beach, shops and more! Week 15! Inquire for details!